DEAR JERRY: Recently I asked about the highest ranking tune on Cash Box that never appeared on Billboard. You replied that "The Letter," by Wayne Newton, lasted 31 weeks on the Cash Box Top 100, and, in December 1992, even reached No. 1. Amazingly, Wayne's song did not chart at all on Billboard. Now I'm knocking on your door again, with the flip side of the issue. What is the highest ranking tune on Billboard, that never appeared on Cash Box? DEAR C.J. : Yeah, I recognized your distinctive knock. C'mon in. There are several different answers to this question, each with disclaimers and fine print. 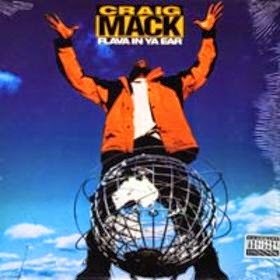 The immediate answer is Craig Mack's "Flava in Ya Ear" (Bad Boy 79001). It peaked at No. 9 on Billboard's Hot 100 in November 1994, went platinum, and somehow never appeared on the Cash Box survey. In late '94, however, the Cash Box operation was in decline, and just 24 months later (Nov. 16, 1996) they published their final issue. As the end drew near, it is certainly possible less research was put into developing their charts, thus making comparisons to the newly revamped Billboard Hot 100 suspect. How they overlooked "Flava in Ya Ear" is unknown, yet they and Billboard both chart his follow-up, "Get Down," coincidentally with a remix of "Flava in Ya Ear" on the flip side (Bad Boy 79012). Perhaps we should reboot our research. Since the first full year of Billboard Top 100 charts was 1956, it makes more sense to begin then, and continue through 1989. 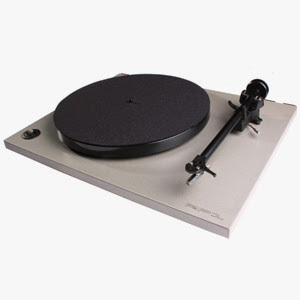 Even with new parameters, there are nagging issues — significant differences between the two magazines that might, for our purpose, disqualify some highly-charted singles. 1. The biggest variance is the Cash Box policy, before September 1965, of combining numerous versions of the same song at one chart position. The focus then was strictly based on the popularity of songs, not the artists. Sharing that philosophy was the long-running TV show, "Your Hit Parade." They counted down the nation's Top 10 songs, indifferent to whose versions were the best sellers. 2. Then there was Billboard's separate Disc Jockey chart, published up until the week before they introduced the Hot 100 (August 1958). The Jockey chart sometimes included versions of songs by artists other than those with the biggest hit versions on the Best Sellers and Top 100 charts. 3. Billboard discontinued including Christmas records on the Hot 100 after 1962. 4. Cash Box sometimes included EPs on their singles charts, while Billboard usually listed individual tracks from those EPs. With all that in mind, here are the candidates for highest peaking records exclusive to each magazine's singles charts (1956 through 1989). Remember, "The Letter" (1992) is now out of the picture. 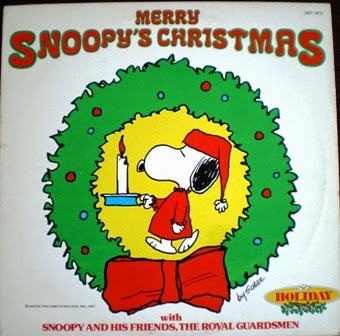 "Snoopy's Christmas," by The Royal Guardsmen (Laurie 3416), peaked at No. 10 on Cash Box in December 1967. It could, however, be disqualified because Christmas records were disallowed on Billboard's Hot 100. Elvis Presley's "King Creole" EP (RCA Victor EPA-4319) peaked at No. 20 on the Cash Box Top 100 in September 1958. None of the four individual tracks on the EP ("King Creole"; "New Orleans"; "As Long As I Have You"; "Lover Doll") charted on the Hot 100, but at that time Billboard did not include EPs on that chart, so this one might not qualify. If those two are eliminated, then the answer is "Kid Stuff," by the McGuire Sisters (Coral 61771). It peaked at No. 36 on the February 23, 1957 Cash Box Best Sellers chart, yet never appeared on any Billboard charts. Determining which records qualify gets even more complicated. If the pre-Hot 100 Disc Jockey charts are included, then it's "Silhouettes," by the Diamonds (Mercury 71197). This peaked at No. 10 on the DJ chart in November 1957 even though their version reached only No, 60 on Billboard's Top 100 chart. "Silhouettes" was also affected by Cash Box's policy of listing more than one version of a song. The Rays recording was the only one designated a "best-selling version" on Cash Box. Whether the Diamonds' version would have charted had sales for each version been compiled separately is unknown. "A Theme from the Threepenny Opera (Mack The Knife)," by Louis Armstrong (Columbia 40587), peaked at No. 20 on Billboard's Top 100 in March 1956, and Lawrence Welk's "Last Date" (Dot 16145) reached No. 21 on the Hot 100 in December 1960. If the above three are eliminated, the next contender is "Topsy I," by Cozy Cole (flip side of "Topsy II," the smash hit ). 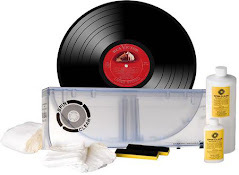 Since Billboard and Cash Box listed both titles of double-sided hits separately at the time, the absence of "Topsy I" on the Cash Box Top 100, and its peak position of No. 27 on Billboard, makes it the highest ranking Billboard-only song, without competing versions. Cash Box specifically showed "Topsy II" on their charts, so there was never a thought of combining the two parts into the same listing. A gigantic "thank you" is extended to Cash Box archivist, Randy Price, for sharing his valuable research with us this week. Without Randy's input, I probably wouldn't have attempted a reply to this question. IZ ZAT SO? In the early 1950s, it would not be unusual to find 60 to 80 different recordings shown for just the Cash Box Top 10 titles, each listed in alphabetical order by label name (good for Capitol, not so much for Victor). In the early '60s, when there were fewer cover versions anyway, the number of Top 10 entries dropped to 10 to 20.